Octopamine - a monohydroxylated analog of norepinephrine - is a biogenic amine, first discovered by Erspamer in the salivary gland of a mollusc Octopus, by a two dimensional paper chromatography technique . It is a major neurotransmitter in invertebrates, where it is present in high concentration in the central and peripheral nervous systems and in various other tissues [1-4]. Octopamine occurs in three positional isomeric forms, para, meta and ortho (Figure 1). Each isomeric form occurs as (+) or (-) enantiomers. The naturally occurring isomer of octopamine is p-octopamine in many invertebrate nervous systems including insects. The (-)-enantiomer of p-octopamine is the naturally occurring form of octopamine in honeybees . The (-)-enantiomer of p-octopamine is over 200 times more potent than (+)-enantiomer in stimulating adenylyl cyclase (AC) activity in cockroach brain . In vertebrates, p- and m- isomers of octopamine are present at trace levels in the mammalian brain . However, m-isomer of octopamine is more potent than the p-isomer with higher potency for the (-)-enantiomer than the (+)-enantiomer for stimulating adrenergic receptors [8-9]. o- Isomer of octopamine is found in rat urine, following monoamine oxidase (MAO) inhibition . Its major urinary metabolite (o-hydroxymandelic acid) is detected in both rat  and human urine . However, o- octopamine is not found in any organ even after MAO inhibition, suggesting it occurs below the lower limits of detection . Octopamine is present in high amounts in invertebrates, whereas it's chemically identical form, norepinephrine, is found predominantly in vertebrates [2-4,9,12-13]. Under normal conditions, octopamine is present as a trace amine in the mammalian brain and biological fluids. 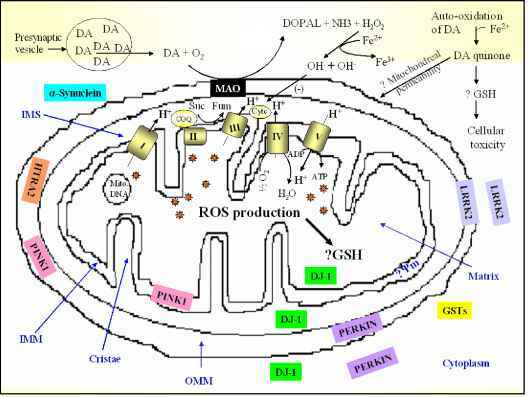 However, it occurs in unusually high concentrations in certain diseases  and in patients treated with monoamine oxidase inhibitors (MAOIs), suggesting that it may have some pathophysiological role. Due to low concentration and rapid turnover of octopamine, its role as a neurotransmitter in mammalian systems has not been thoroughly examined. Octopamine quantification in the biological fluids may be affected by the presence of interfering substances, and also due to many methodological factors. Using a non-suitable quantification method, the obtained value of octopamine may either be much lower or much higher than the expected value. Therefore, it is important to use a suitable quantification procedure that can distinguish between three positional isomers of octopamine and separate octopamine from other amines, allowing its correct and rapid determination in tissues and biological fluids. Figure. 1. Chemical structures of norepinephrine, epinephrine, and octopamine and its positional isomers. (a) Ortho, meta and para configuration, (b) norepinephrine, (c ) epinephrine, (d) p-octopamine, (e) m-octopamine, and (f) o-octopamine. Ortho or o-disubstituted benzene has two substituents in 1,2 relationship on the ring, whereas meta or m-disubstituted benzene has two substituents in 1,3 relationship on the ring. Para or p- disubstituted benzene has two substituents in 1,4 relationship on the ring.